Since it looks like there will be a reset, I'm looking into ways to make the world feel different so the experience will feel new for veterans. And no, we will not make a new world/use second world/download someone else's world. This world is an incredible masterpiece so we will keep using it as the foundation for the next world. We will probably attempt to flip the world around 180 degrees and raise the sea level, and possibly do other changes (ideas are very welcome). 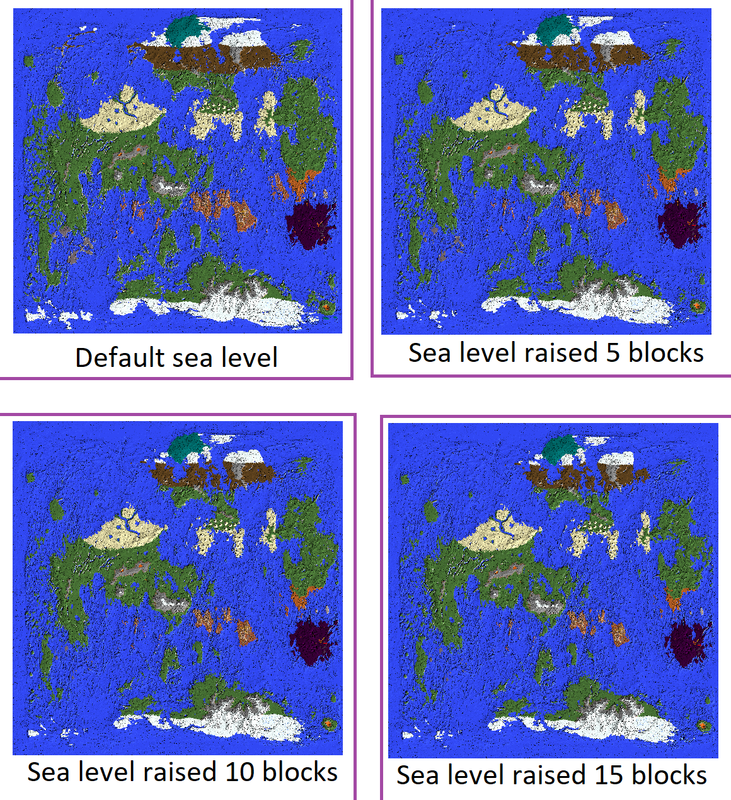 Vote how much you want the sea level raised from the 3 options. son where have my comments gone, did they spoop dey spoop away? Off-topic comments must be made in a different thread, I want this one strictly focused on its topic.